Could Elite 4 Be Headed To WiiWare? While it's certainly no Duke Nukem, Frontier's Elite 4 title has seen its fair share of delays and supposed project cancellations since development on the game began back in 2000. After a successful run on the various personal computers of the 80's, Frontier was all set to take their hit franchise into the modern era of video gaming, making use of the more advanced technology found in today's computers and game consoles. Unfortunately, technical setbacks have kept the project from seeing completion, even leading many media outlets and Elite fans to assume that the project itself had been abandoned altogether. Now here we are in 2008 and Elite fans can once again get their hopes up as Elite co-creator David Braben has just recently announced that Elite 4 will possibly see a release on the current generation game consoles, although he wouldn't be more specific as to exactly which ones. Speculation has already began brewing that Elite 4 would be a perfect fit for the WiiWare, Xbox Live Arcade, and Playstation Store download services, especially since Frontier already has one WiiWare game on the service with their Lost Winds title. It's anyone's guess at this point as to whether or not Elite 4 will ever see the light of day, but at least now we know the project is at least still moving forward, albeit at a rather slow pace. We'll have more information on a possible WiiWare appearance of Elite 4 if it becomes available. I don't think it's likely to happen. i hope so it would be pretty kool. Never heard of it. But I like Duke so it might be good. Lets hope thats all I can say. It's my understanding that previous frontier games have doubled as tech demos for Elite IV. so er... my point is the vision for Elite IV is way to ambitious to distribute on wiiware etc. This game must have been popular overseas because I was a big Commodore 64 nut and I had never heard of this game until today. At least there's still a few honest people on the internet. Wait, so it's not about the final battles in Pokemon? Aw man. In that case, goodbye. What in the world is Elite 4? There's always Wikipedia if you want to know about the series, guys. Unlikely to hit the Wii, it's more the sort of game they'll want too graphically over-engineer to the point where it looks really, really great but plays like a ball and cup with a string attaching them. I played Frontier: Elite II on the Amiga, I loved that game... Still play it from time to time. I'd love to see it come again, but I'm not holding my breath for a WiiWare version. Elite is the first 3d space sand box game. You are given a space ship and the goal is to gain money and honours until your rank is Elite. The way you do this is to trade and take missions. The places you go and the way you trade is up to you. Keep the spaceships in space like the original. The flight and fighting controls should be different for different spec ships. The exterior visuals should also change from wireframe, to solid, to fully textured. The player should be able to create missions. I also had Frontier (elite 2) on my Amiga, I really hope that if this finally gets released as wiiware it is made as a massive online space trading game possibly with wiiconnect24 functionality. which would make a wiiware version (if this went multiplatform) a must buy. Sounds cool. I can see this happening aswell since Frontier's LostWinds sold excellent-ly on WiiWare. 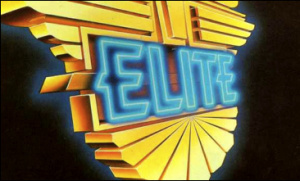 Used to play the original Elite on a BBC computer back in 1984/85 while at school. Never played any the others though. Elite 4 could well be worth a look. Thank you Valan. Damo, when I'm reading an article about a game, it may sound lazy but I expect to read about what the game is (in addition to the article's point) in case I don't know it, rather than having to go to another site. I discussed this with a few fellow Kotakuites a few weeks ago, and taking as concept the controls for our shiop from Metroi dPrime 3, I think a remix version of Elite would work really really well with Wii Controls. Someone shoudl really hit the foruns for Frontier developemtns and just ASK them to do it, its almost criminal if they dont! I´d rather see a fullscale Elite 4 as a complete retail game. But of course a WiiWare Elite 4 would make me rejoice, Elite is one of the best games ever. All I can say is Wow!!! I followed the development of Frontier: Elite II for years and when it finally came out was so impressed. No game has come close to what that title acomplished. The whole galaxy in a 3 1/2 disk!!!! Now that we have C64 games on the VC, why not add Amiga games starting with Frontier? BTW, I enjoyed Frontier more than the original Elite, and the way you could land and explore any planet was excellent. Quite simply, Elite was a 'revolutionary' 3D space trading game. Revolutionary in the fact that the whole game would sit in around 22K of the available system memory of a BBC B (and maybe also in the fact that it used wireframe 3D) As a game it was yawn-tastic and frustrating to say the least but like certain games to us console fanboys, the game just seems to have this reputation that makes people think it's some sort of god of games to home computer owners. The sequels fell by the wayside (I played Elite, Elite II and Arc Elite) simply because most people realised the gameplay mechanics were quite frankly really boring and limited and although there were some 'adjustments', overall I'd rate the whole experience as one that only a select few would appreciate. Particularly to those who have the patience of a saint and the find watching paint dry exciting. If you really want to know what it's about, you could always download an emulator or buy a BBC B and about 500 game for £5 (or something like that) from ebay.